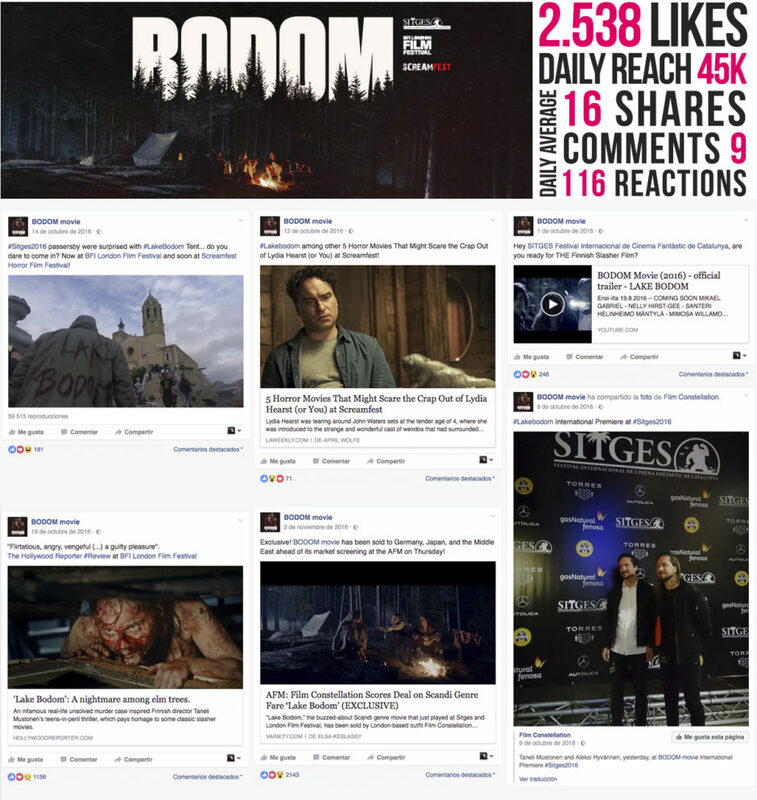 In collaboration with Film Constellation, we managed the social media campaign of LAKE BODOM, a Finnish-language survival horror film inspired by true events (the 1960 Lake Bodom murders) that top-scored the box-offices in its country of origin. The Social Media Campaign was launched a few days before Sitges Film Festival and it followed the film along its Festival Tour: including Sitges, BFI, LA Scream and Tokyo Film week. The digital campaign included social media, coordination of PR Exclusives with the most important horrow specialized media and production of top video content during Sitges, coordinating a stunt in one of the principal areas of the Festival: #Sitges2016 passersby were surprised with the Bodom Tent… (See video below). Lake Bodom has been sold to Germany, Japan, and the Middle East. (Read article here).